Located in the heart of Taipei City. Shandao temple is a modern, but retains a timeless air of reverence and meditation. I took this super wide angle shot (equiv. 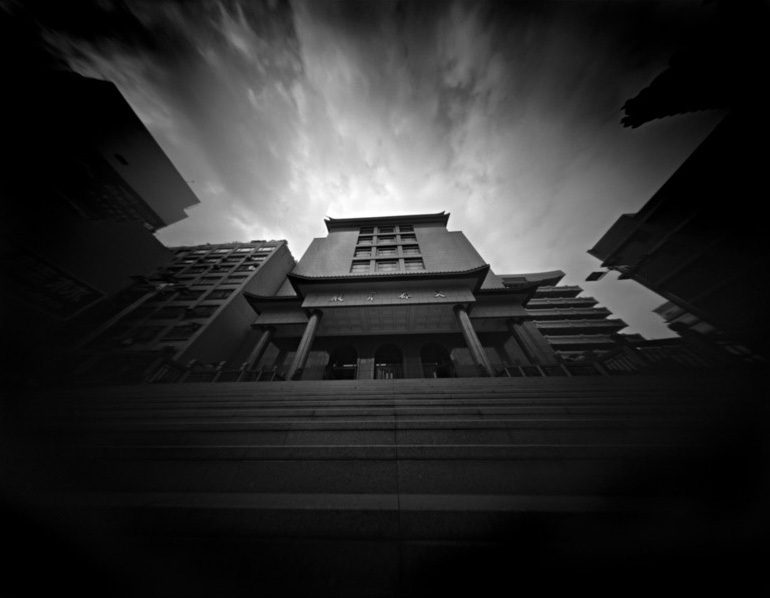 8mm in 35mm terms) courtesy of 4×5 pinhole camera, which also caused the heavy vignetting around the edges.